There are times when I want to drink my veggies, and I end up spending too much money on a bottle of pure vegetable juice at the store, due to the fact I do not own a juicer. Maybe you’ve had this experience, too? This makes me especially excited to share this carrot ginger juice recipe with you because it does not require a juicer. This recipe only requires a blender and fine strainer. The strainer could be a nut milk bag or a fine-mesh strainer lined with a cheesecloth — or you could get creative and make your own. 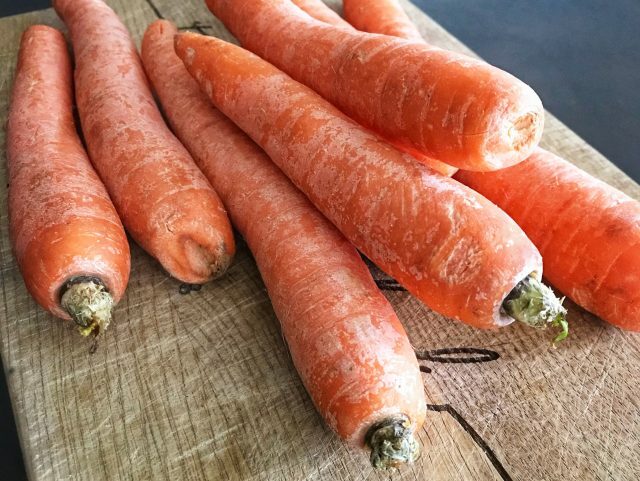 This juice provides a plethora of nutrients from the carrots, and I absolutely love the flavor combination of carrot, ginger, and lemon. The ginger produces a slight spicy flavor and the lemon juice supplies the perfect hint of sour. I hope you enjoy this juice as much as I do. This juice provides a plethora of nutrients from the carrots, and I absolutely love the flavor combination of carrot, ginger, and lemon. Place the carrots, ginger, lemon juice, and water into a blender. Blend until fully combined into a homogenous liquid. Depending on the blender, the blending time may be between 30 seconds and 1 minute. Using a strainer such as a nut milk bag, line a pitcher or a bowl. Pour the carrot mixture through the strainer and into the pitcher. Squeeze the strainer bag to ensure all the liquid has been removed from the pulp. Serve immediately or place in the fridge for up to 3 days.